Ron’s Carpets has been friendly, professional and above all else, problem solvers. Whether it was helping to decide best options for unifying multiple floorings in a purchased house, or providing a backing that keeps my rugs in place, even with 3 big dogs, to rebinding some family rugs, they resolved the issues and were always great to work with. I will definitely use Ron’s again and will refer to family/friends. We worked with RON’S Carpets on 4500 Prospect and they were great to work with! 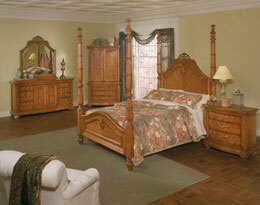 They offered options in all price ranges and helped us make decisions within our budget. They actively followed up on the installation and the quality of the project to the very end. Highly recommend! We would like to thank Ron's Carpets for their OUTSTANDING customer service! John has done an amazing job recommending & standing by his product ALWAYS! We HIGHLY recommend Ron's Carpets!! A special thanks to Sean & Steve for their OUTSTANDING craftsmanship and dedication...ALWAYS willing to go that EXTRA mile! Thank you to ALL that make Ron's Carpets #1! of options. The installation team installed as if it was their own home and consulted with us whenever an issue or question came up. Highly recommend Ron's Carpets. environment every time I walk into the store!" Thanks for your great service. We are spreading the news about Ron's Carpet's! We love our floors. Thank you for all the things you did! 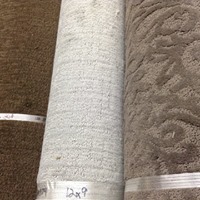 Excellent Service-I can't wait until I can get more carpet from your store. Thank you so much for the friendly service you gave us while shopping for our flooring. I have told everyone about Ron's Carpets. You may not be "Peoria's Best Hidden Secret" for very long. Again thank you, we love the flooring. P.S. The installers were great!! Great work, beautiful products, excellent customer service, best installers in town! We always get lots of compliments on any flooring Ron's Carpets does for us whether it has been carpet, vinyl or hardwood. We have recommended Ron's to friends, family and co-workers. Thank you for everything all of you did for us while trying to recover from our "flood instance". You were so kind, considerate and went above and beyond. We have had a myriad of compliments from friends and family. They all heard how wonderful your company is and will use you for their carpet needs in the future! I just love my new kitchen floor. It was well worth the wait! Thanks again! Thanks for all your help, patience and time you spent helping us with our flooring. You made the whole process very easy and pleasant. We will be telling people about Ron's Carpet. Serving: Alta, Bartonville, Bellevue, Beverly Manor, Brimfield, Chillicothe, Creve Coeur, Deer Creek, Dunlap, East Peoria, Edelstein, Edwards, Elmwood, Eureka, Farmington, Germantown Hills, Glasford, Goodfield, Greater Peoria Airport, Groveland, Hanna City, Hollis, Hopedale, Kickapoo, Lacon, Lake Camelot, Lake Of The Woods, Lawn Ridge, Mackinaw, Mapleton, Marquette Heights, Metamora, Morton, North Pekin, Norwood, Pekin, Pekin Heights, Pekin Mall, Peoria Heights, Pottstown, Princeville, Roanoke, South Rome, Sparland, Spring Bay, Sunnyland, Tremont, Trivoli, Tuscarora, Washburn, Washington, West Peoria, Whispering Oaks, Williamsfield, and vicinities.